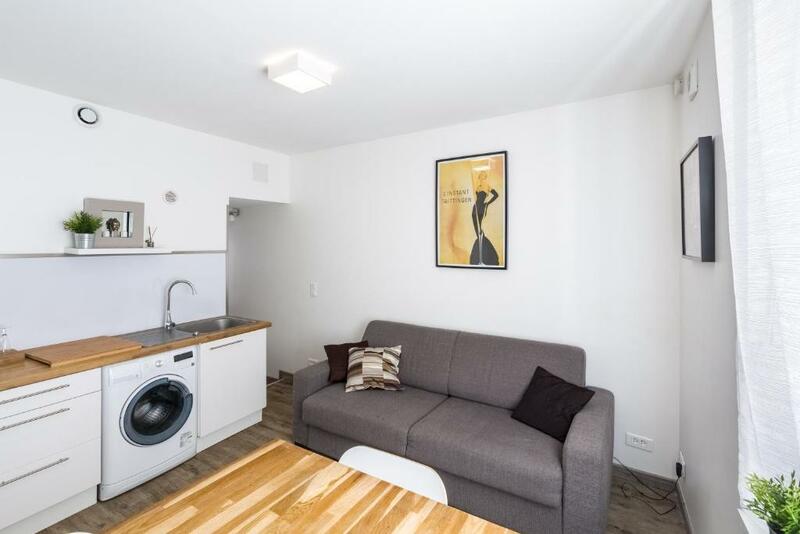 Excellent little apartment only a short walk to the centre of Reim near the Cathedral and various champagne houses. A wonderful city and a great base to explore it from. The host provides a little pack to introduce you to the area, parking was secure and we benefited from an apartment with all the amenities you miss in a hotel room. Excellent! nice, little apartment well equipped, 5 minutes walking far from the cathedral. Buy parking is recommended. Ideal location, just a few minutes walk from the city centre. Very practical base. Well equipped flat for its size. 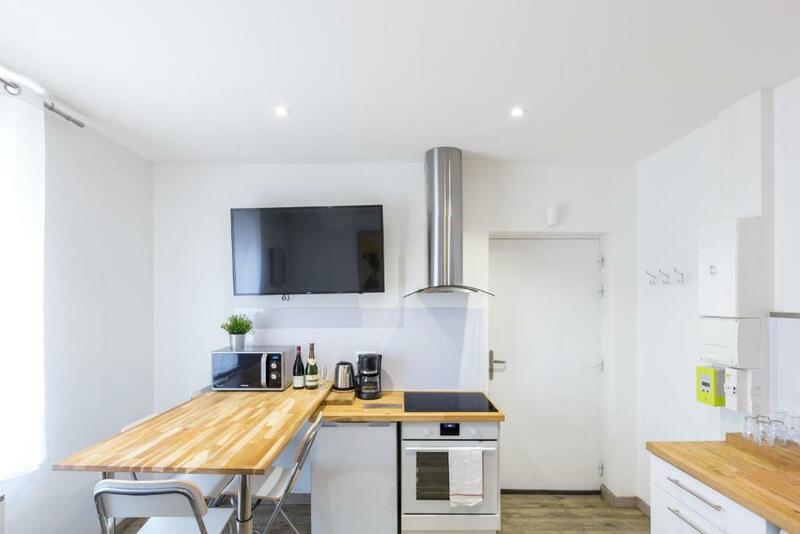 The apartment is well located within easy walking distance to the middle of town and 15mins walk to several of the champagne houses. It was quiet, well enough set up and very good value for money. The situation of the appartment is excellent. Nearby of everything!!! The host super kind. Reims lovely. Jérôme was so helpful before and when we got delayed. I great little bolt hole en route! 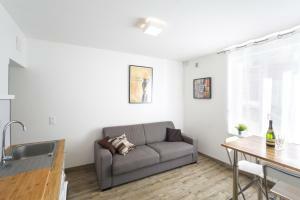 Small but comfortable appartment, perfect for a short stay, 5 min walk to the city center. The terrace in the inner shared courtyard is a special bonus - we enjoyed our meals there. Self check-in very easy. The host helpfull. Parking place several blocks away (5 min walking). Small but we'll organised apartment with everything needed for short stays. Very central location yet on quiet side road. Lovely outdoor seating area in internal courtyard, which unfortunately we did not get to use due to the weather. Host very prompt in replying to messages and dealt quickly with the one issue that arose. This was a lovely little self catering apartment. Perfect for a couple of nights. Really handy to walk into the centre where there are plenty of bars and restaurants. Very close to the cathedral. Slightly weird design, but it was all new and clean and fully functional. Lock in a great price for 1Stays Apartment - Marlot – rated 9.1 by recent guests! One of our best sellers in Reims! 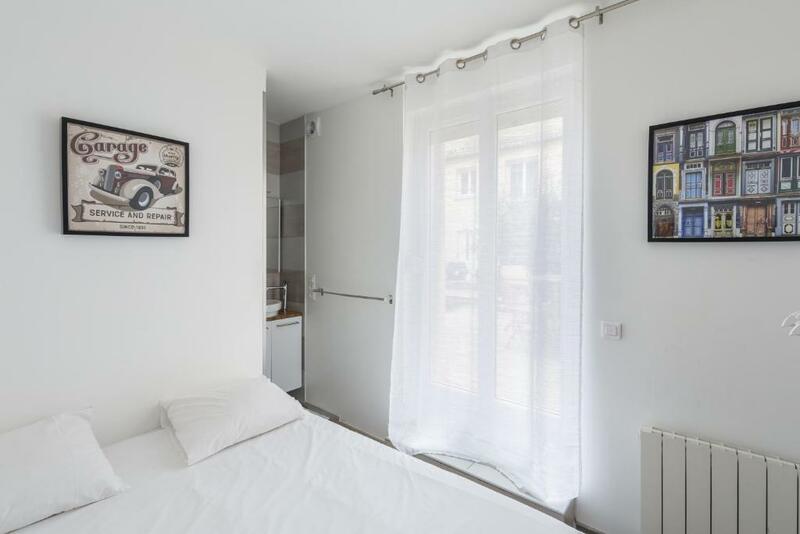 Located in Reims, just 1,000 feet from Noter Dame Cathedral, 1Stays Apartment - Marlot offers accommodations with free WiFi. The accommodations is 1,300 feet from the Reims Opera. This apartment is fitted with a living room and a fully equipped kitchen with an oven and a microwave. There is a bathroom with free toiletries. Church of Saint-Jacques is 1,650 feet from 1Stays Apartment - Marlot, while Subé Fountain is 2,300 feet from the property. Châlons Vatry Airport is 34 mi away. 뀐 Located in the real heart of Reims, this property has an excellent location score of 9.4! When would you like to stay at 1Stays Apartment - Marlot? 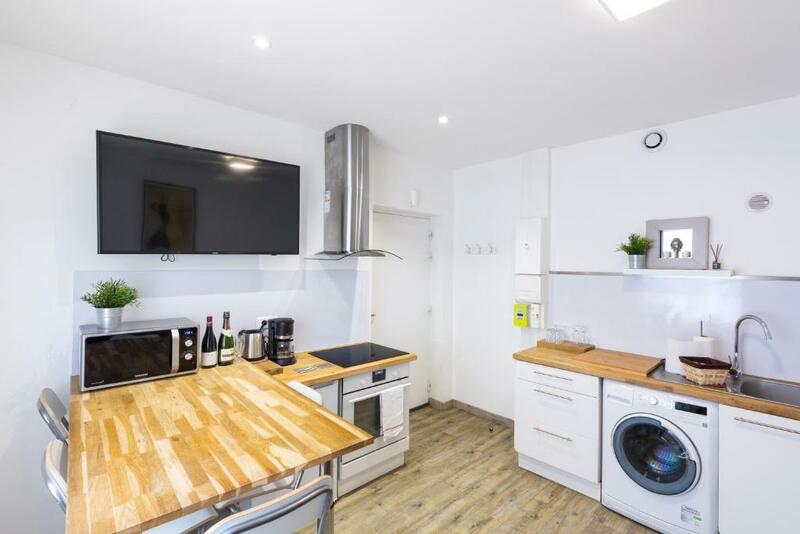 This apartment has a kitchenware, electric kettle and oven. 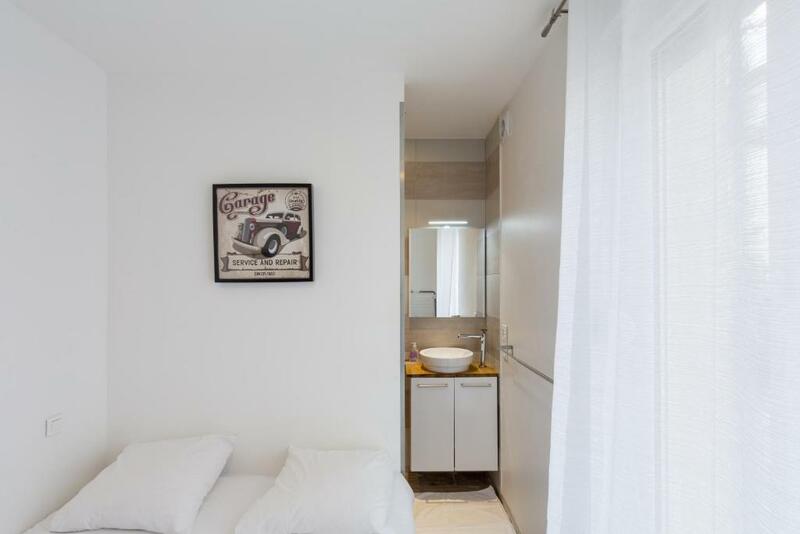 This newly renovated property with terrace is quiet, and comfortable. The main room consists of a fully equipped kitchen (refrigerator, pyrolysis oven, induction cooker, coffee maker, microwave, kettle) and a bedroom area with a Queen Size sofa bed. Connected to the bedroom is a spacious shower. You can use the washing machine. You have access to TV and Internet (WiFi). Bed linen and towels are provided. Speaking several foreign languages​​, I love traveling and meeting people from all over the world. As a host, I especially like taking care of my travelers, making their stay unique and unforgettable. You are right in the center, so everything is in a walking distance. House Rules 1Stays Apartment - Marlot takes special requests – add in the next step! Guests are required to contact the property by SMS 30 minutes prior to arrival to confirm their arrival time. Contact details can be found on the booking confirmation. Please note that guests check in to the property autonomously by using a key box with a code. Please note that guests are not permitted to invite non-guests to the property. No nightstands close to the bed. Everything was perfect. The apartment was very clean and spacious. Even it has a very cute garden :) Sofa can become very comfortable bed. The price and location balance was also very good. 5 min to walk to city center. The sofa bed was comfortable but the springs made a lot of noise when turning over. The extractor fans are also very noisy, with no way to turn them off to sleep. Very few cooking utensils. Very large step out of the apartment to outside, with many levels inside! Bedroom very small and adjacent to walk-in bathroom; not a good arrangement. Only improvement we could suggest would be to supply a fan in the summer months. Temperatures were low 30’s (Celsius) with high humidity. A fan would have made it easier for sleeping. Apart from this it was a wonderful place to stay. Location, size, cleanliness, terrace, facilities. A tea towel for drying dishes would have been useful. A bread knife or larger sharp knife would also be useful. This is a small, well equipped apartment in a very central location in Reims. The keys were left in a secure place which made checking in easy. It was also easy to contact our host for any queries - a small parking problem was fixed quickly. There is a very comfortable bed and a decent shower. There is a rear deck which we used for coffee and meals - very pleasant on a sunny day. We paid extra for private parking as we had a car full of stuff en route to skiing. The garage was round the corner on a different road, but it was all good.